You’ve spent countless hours making your classic car look its best, or perhaps you’ve enjoyed your ride for years and simply want to return it to its freshly restored glory. 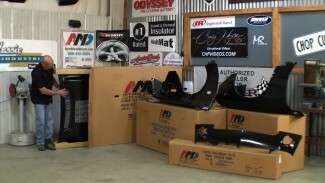 The folks at Wizards Products have you covered with all the products you’ll need to get, and keep your ride looking like new. Mark Simpson takes a hands-on test drive of the new Wizards 21 Big Throw Polisher and the handy Wizards 12 Big Throw Mini Polisher. These innovative polishers feature the “Big Throw” random orbital design with the largest throw of any polisher on the market. This advantage quickly removes swirls in paint and when combined with their “Scratch & Swirl Removal Kit” ensures a mirror-like and swirl free finish to your paint. Our test drive doesn’t end there, we took their “Detailing Cool Kit” for a ride too. Which includes: Mist-N-Shine Detailer, Tire & Vinyl Shine, Applicator Pad, All Wheel & Tire Cleaner, Shine Master, Wizards Wash, Multi-Fiber Detail Cloth, Mini Inspection LED Flashlight, Can Koozie, all packed into a soft-sided take-along case. You’ll have everything you need to professionally detail your car before you leave the shop or for quick touch ups when you arrive at your local shows or cruise night. 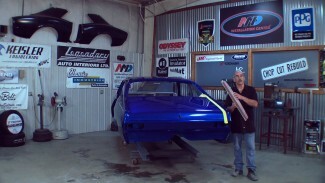 Craig Hopkins teaches you how to mount front sheet metals on a car to get rid of a rusty mess. 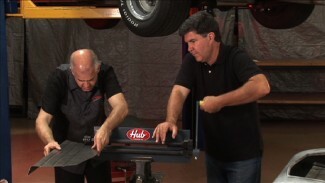 He briefs you on the new car parts you will need such as a hood, fenders, and hinges. You do not need new hardware, but Craig suggests you buy it to save yourself future trouble.